There is broad acceptance across the Humanities and Social Sciences that our deliberations on the social need to take place through attention to practice, to object-mediated relations, to non-human agency and to the affective dimensions of human sociality. This Companion focuses on the objects and materials found at centre stage, and asks: what matters about objects? 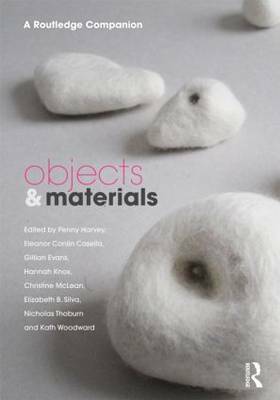 Objects and Materials explores the field, providing succinct summary accounts of contemporary scholarship, along with a wealth of new research investigating the capacity of objects to shape, unsettle and exceed expectations. Original chapters from over forty international, interdisciplinary contributors address an array of objects and materials to ask what the terms of collaborations with objects and materials are, and to consider how these collaborations become integral to our understandings of the complex, relational dynamics that fashion social worlds. Objects and Materials will be of interest to students and scholars across the social sciences and humanities, including in sociology, social theory, science and technology studies, history, anthropology, archaeology, gender studies, women's studies, geography, cultural studies, politics and international relations, and philosophy.